It's become a modern-day wedding day problem that's getting harder to ignore. With the surge of selfies dominating the digital world, it's becoming impossible to keep the wedding photos offline until the bride and groom have had a chance to peruse the pics. For the newlyweds, it can be frustrating to see candid snaps swirling on social media before they've even had the chance to say "I Do," and the problem is even worse for those professional wedding photographers whose businesses are based on the element of surprise! So how can the photographers crush the photo leak problem and stay top-of-mind for their clients in such a changing world of photo sharing? We've got some ideas to help you out. 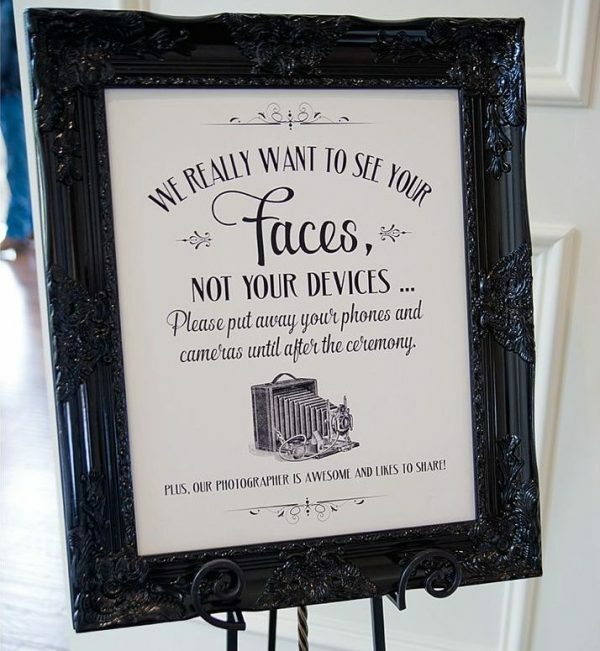 If you can get the bride and groom on board, there's no harm in asking their guests to unplug during the ceremony. After all, it's about the big day, not the devices. Create a cute sign or place a pretty basket by the entrance to the ceremony venue, politely asking the guests to turn their phones off, tuck them away, or store them until the ceremony has ended. The guests will respect the wishes of the soon-to-be-weds, and you'll get to retain that element of surprise. 2.) 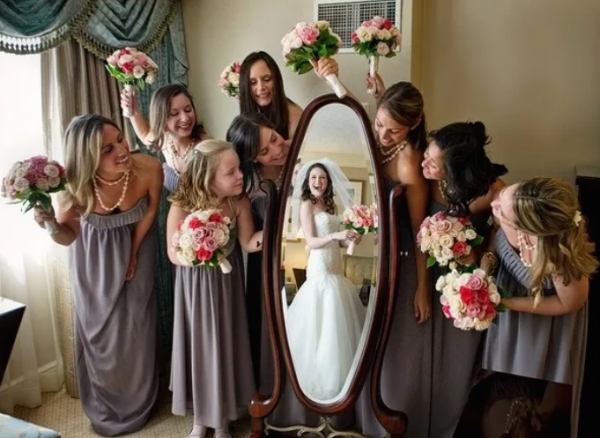 Get creative with the photos so the guests will want to share! When it comes to snapping photos of the ceremony, guests can only do so much with their phones. Make sure you capture some fun, creative photos that are unique to your shoot, so the wedding guests will want to share your photos online instead of their own! Not only does this keep the professional wedding photographer in the spotlight, but it's a great way to get added exposure online for your photography business! To get ahead of the social-sharing game, let the guests know that you will be sharing some in-the-moment snaps throughout the wedding, and to follow along with a certain hash tag. 3.) Bring your own photo booth to get those fun guest shots! Not only are wedding photographers competing with guests when it comes to photo-sharing, but most weddings will now include a fun photo booth as part of the entertainment plans. 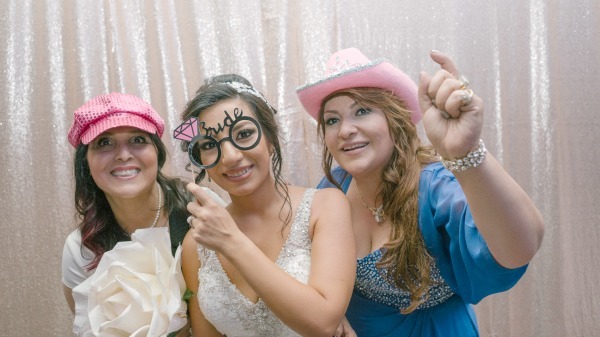 Adding a photo booth to your own photography business will make you the go-to person for all event photos. Think about the competitive edge you would have if you could provide more than just one service to that busy wedding planner who’s trying to put together the pieces of the jigsaw puzzle to create that perfect event? Instead of having to source and schedule a separate vendor to handle the photo booth rental, the event planner could call you and book both a wedding photographer AND a photo booth in one call! Plus, adding a photo booth to your business is a great way to boost your business profits! Don't let the wedding guests steal your thunder! Try one of these tips and crush the wedding photo leak problem at your next photography gig.